The Harvest for All campaign is a partnership between Farm Bureau Young Farmers and Feeding America that provides food to needy families. More than 50 million Americans – that’s one in six – including nearly 17 million children, are food insecure, meaning they live at risk of hunger. Through the Harvest for All program, donations of food, funds and volunteer hours are given to local food pantries or soup kitchens. Here in New Hampshire, the Young Farmers encourage all farmers and non-farmers to participate in donating product to local distributors dedicated to feeding the hungry. In effort to record all donations throughout the year we ask that you complete the form below. Your contribution will be logged and submitted to the national Harvest for All project on behalf of the New Hampshire Young Farmers. If you are not actively donating to your community, please consider giving – every little bit helps! (left to right) Friendly Kitchen Director Jennifer Lombardo, Young Farmer Committee Chair Amy Matarozzo, Young Farmer Coordinator Leandra Pritchard, and Young Farmer Committee Vice-Chair Christina Murdock at the Friendly Kitchen in Concord, NH. 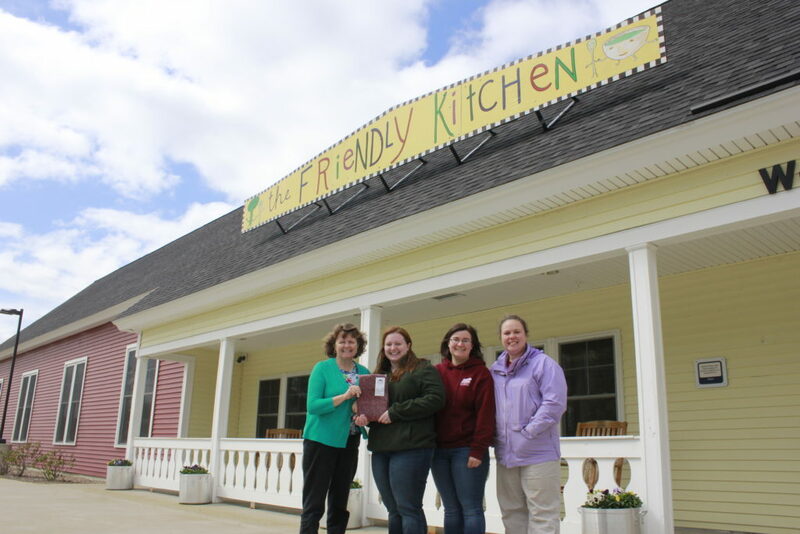 In May 2016, the Young Farmers donated just under 300 pounds of fresh, farm-raised ground beef to 5 different food pantries or soup kitchens across New Hampshire. In August, over 7,800 pounds of fruits and vegetables were donated to the Friendly Kitchen in Concord and the NH Food Bank in Manchester thanks to volunteers from the New Hampshire Farm Bureau Federation Young Farmers Committee and the generosity of local farms. This is almost double the amount donated from the previous year! Click Here for more information on the Young Farmer beef donation. For more information on how you can get involved in this year's Harvest For All Campaign, contact Josh.